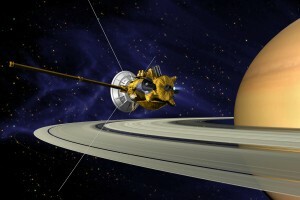 The 15th of September marked the Cassini spacecraft’s final plunge into Saturn’s gaseous atmosphere. This grand finale marked then end of a 20 year journey, 13 of which were spent orbiting Saturn, studying the ringed planet and its extended family of moons. Here in Cardiff, Dr Emily Drabek-Maunder has been closely following Cassini, and working with some of its data. This seemed like an ideal time to gather Emily’s thoughts on the remarkable mission. September also marked “Herschel week“, in which ESA celebrated the legacy of the Herschel Space Observatory. Herschel launched in May 2009, and operated until April 2013. Even though the spacecraft is no longer functional, the science must go on. Some of that science involves the study of distant galaxies, and our own Professor Steve Eales leads one of the teams doing just that. With some new results in the process of being published, Steve explains why galaxies may not be behaving quite as astronomers have thought. An extended edition of an original broadcast on 27th August 2017 as part of Pythagoras’ Trousers on Radio Cardiff.